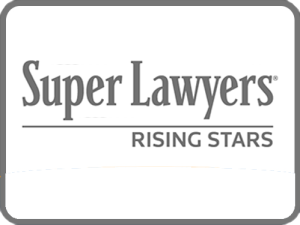 The Law Office of Louis L. Sternberg is proud to announce that Louis Sternberg has been named a Super Lawyers Rising Star in 2015. Super Lawyers is a rating service of outstanding lawyers from more than 70 practice areas who have attained a high-degree of peer recognition and professional achievement. To be eligible for inclusion in Rising Stars, a candidate must be either 40 years old or younger or in practice for 10 years or less. Only about 2.5% of Super Lawyers are named Rising Stars. Louis Sternberg is being recognized for his hard work and dedication to the legal profession, where his goal is to provide quality and affordable representation to families and individuals on Long Island. This is a great achievement, and an honor that he is proud to accept from his esteemed colleagues. What a wonderful honor. Well deserved for your superb legal skills. Congratulations!